It is a fascinating experience to witness that positive result on the test. However, then we have to deal with what comes next. Besides feeling fatigue and sickness, a majority of the people prefer to not leak out the news for the first 12 weeks and do their best to proceed as usual, while coping with the emotional and physical changes. It is a time period of great anxiety for some women. 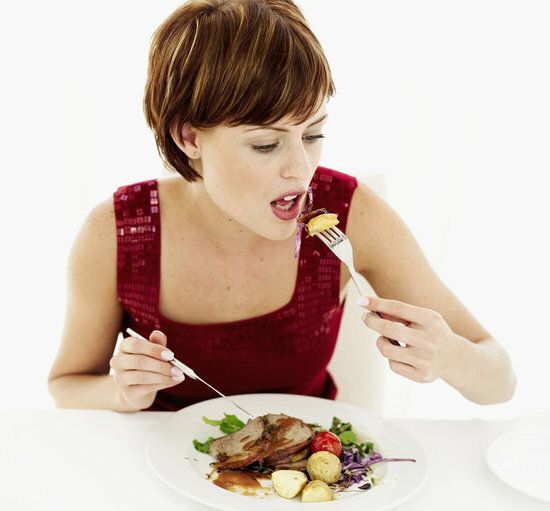 The most popular things to consider at this phase are involved with lifestyle changes that you may be required to make. It is usually the little things that contribute to make you healthier and provide you with a healthier pregnancy. After informing your doctor about your pregnancy, book the first appointment with a midwife. Usually this can take around 2 hours. Your blood pressure will be checked and the session will include information on your medical history and lifestyle. You will also be given advice on how to take care of yourself, maintain a healthy diet and exercise accordingly. Your body mass index will be calculated through the measurements that you are required to take of your height and weight. Folic acid is a vital nutrient that helps keep the baby secure from brain and spinal cord issues like spina bifida. 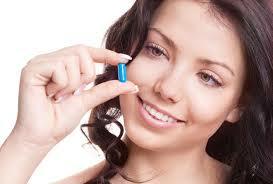 Therefore, take a folic acid supplement on a daily basis. You would require a 400 microgram (mcg) supplement of it, also known as vitamin B9. These can be purchased over the counter from local supermarkets or pharmacies. Alongside folic acid, you would also need to take a supplement that contains 10mcg of Vitamin D on a daily basis. You must be very careful regarding the medicines that you take even if they are over the counter ones since they may be a threat to the unborn baby. It does not mean that there is no remedy for feeling unwell but, in order to be on the safe side, consult with your midwife or doctor prior to taking the medication. To ensure that you get all the nutrients that you require, start a healthy balanced diet that will help you and your developing baby. Remember that you would require extra calories in the first trimester. You will need to keep away from specific foods during pregnancy since they may carry parasites, bacteria or toxins that can be of threat to the baby. Cheeses and certain unpasteurized products, raw or uncooked eggs, liver and pate along with raw shellfish fall in this category. It is normal to experience exhaustion and tiredness during the first trimester. This is a result of the body getting familiar with the rapid alteration of hormone levels. Try to get as much rest as possible. Do your best to get to bed early for a minimum of one night a week. Regardless of whether you fall asleep or not, unwind with a book or calming music. Switch off your phone and get work out of your head for a while. Sleep will be very precious once the baby arrives so make the most of it while you can. Gentle exercise on a daily basis can help you manage the physical and mental requirements of being pregnant. You will also learn that keeping active will help you in maintaining your weight gain. There are various exercises that you can perform whilst being pregnant; however, you must not overexert yourself. A little bit of exercise on a regular basis will go a long way. It is essential that you take great care of your oral health whilst in pregnancy. Pregnancy is known to increase your chance of developing gum disease and thus your oral health can affect the health of the baby. Dental infections have been known to be associated with preterm labor that is why taking care of your teeth is vital. Avoid toxic pollutants as much as possible and also keep away from all toxins that may be present in household items like pain relieving or cleaning products. Inhaling these toxins can prove to be dangerous for the baby. Also avoid smog since it has been proved that being exposed to smog in the first trimester can cause a risk and increase complications. Cigarettes have chemicals that can harm your baby; therefore, do not smoke during your pregnancy. There is also a risk of premature rupture of the amniotic sac that can cause miscarriage and even neonatal death. Infant mortality is a risk associated with passive and active smoking during pregnancy. Both need to be avoided at all costs. A British research also found that pregnant women that smoked could contribute to meningitis in their developing baby. Yes, as you have probably guessed; eliminate the use of alcohol as well since it can reach the baby’s bloodstream and increases the risk of a miscarriage. Drinking alcohol can also contribute to mental and physical impairment of the baby and can cause various behavioral disorders along with facial disfigurement and impaired IQ in the baby. Avoid stress at all costs since increased stress and tension levels can affect the baby’s health and can be a reason for miscarriage. Production of dangerous chemicals is triggered by stress and depression and they can limit the oxygen supply to the uterus; thereby, threatening the baby’s natural growth. Never go on a diet whilst pregnant since it may cause a deficiency of folic acid, iron, vitamins and minerals which can then risk the health of you and your baby. If you are obese, the doctor may advise you to lose weight but that would be an exception. If you go on any diet, it must only be one directed by your doctor. You want to stay away from hot tubs and sauna baths since they can also cause miscarriages. These sauna’s and hot tubs have increased temperatures of water that can make your body temperature rise and harm the developing baby due to possible dehydration.